Now you can easily compare items between pages. Simply browse to the item and add to your compare list. Built-in handle makes it comfortable and easy to carry. Login here to see Exclusive Member Pricing! Why? 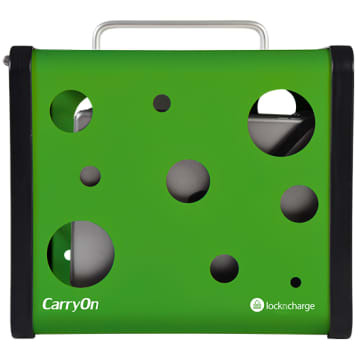 The LockNCharge 10063 CarryOn™ (green) is the first ultra-mobile charging station that can charge, store and carry up to five iPad or tablet devices. LocknCharge offers a unique perspective to physically managing mobile devices. The 10063 CarryOn is taking portability to the next CarryOn-walllevel. The CarryOn allows you to carry five devices, together with all the charging hardware and cables in one neat and compact unit. Teaching, working and learning anywhere just got a lot easier. At the heart of the CarryOn lies an intelligent USB charger that is both powerful and efficient. With 2.4 Amps of power at each port, it can charge five devices simultaneously and boasts Level VI Efficiency. 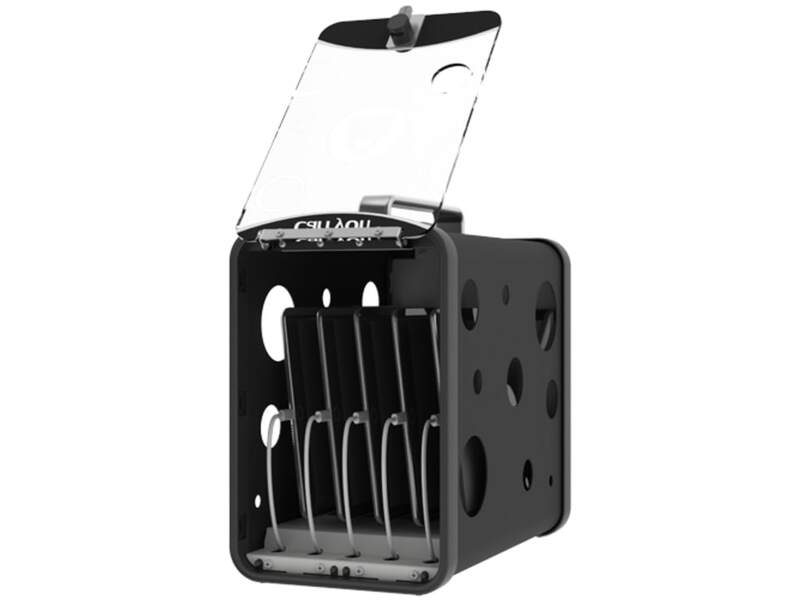 The 10063 CarryOn plugs into main power via the cable at the back and wraps around the cable cleat when you’re carrying it around, keeping it neat and tidy. The 10063 CarryOn transparent acrylic door allows customers to quickly check that all the devices are there, while the impact resistant alloy edging gives it a neat and classy look. It’s finished off with an aluminum handle to make it comfortable and easy to carry. 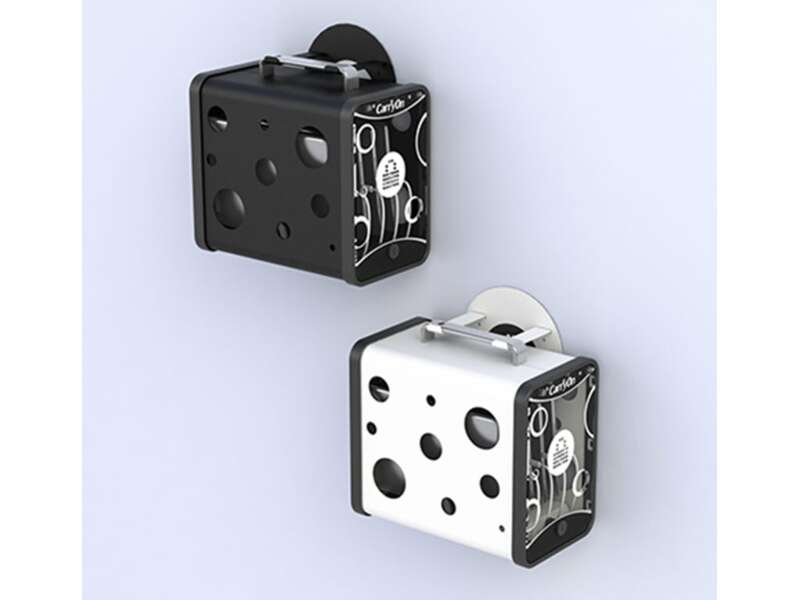 The aluminum outer shell makes it both lightweight and durable, protecting the devices inside. The 10063 CarryOn is designed to store 7" – 10" tablets, with or without cases, up to 1-inch thick . 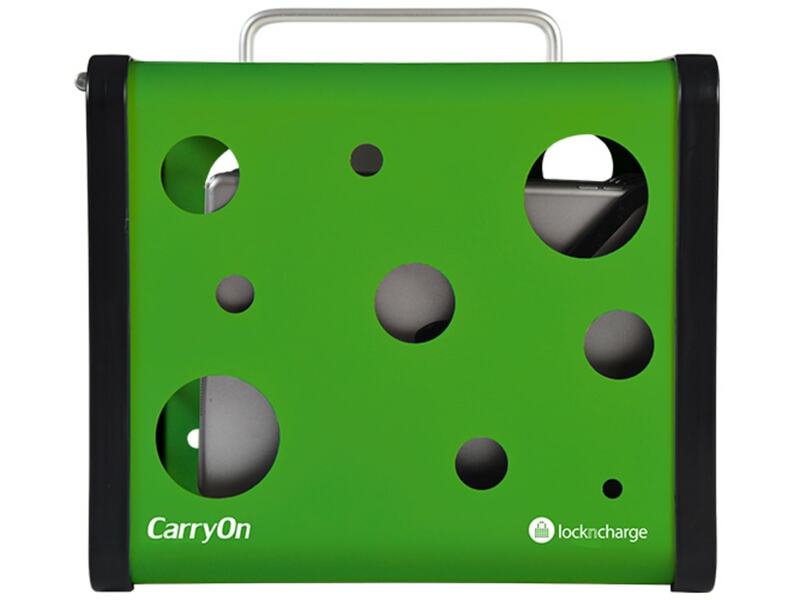 The CarryOn’s acrylic door includes a keyed lock to keep devices safe, and as for storing the CarryOn itself, a wall mount kit is included in the package. 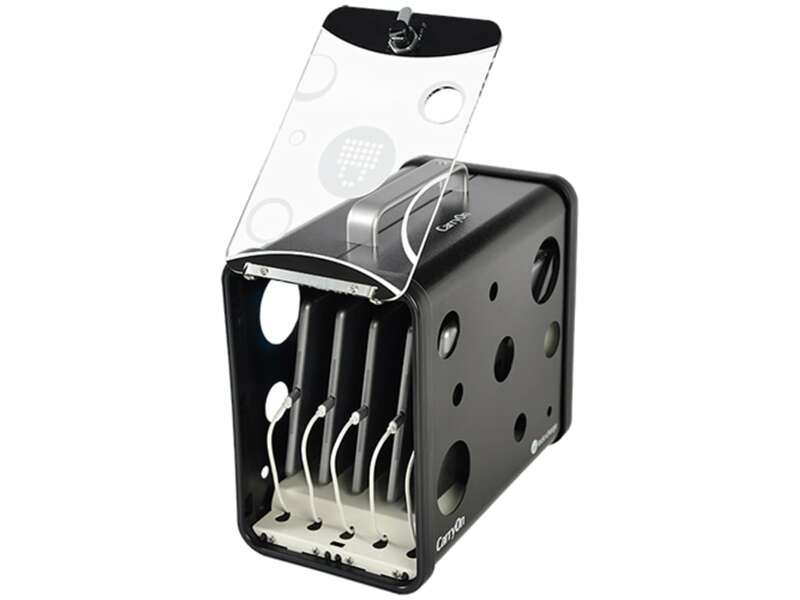 Exclusively available through Apple, the CarryOn in Black or White comes pre-wired with MFi Approved lightning cables. LocknCharge products are built to last. Available in blue, green, red and black to match any environment. White is an exclusive color available through Apple. Q: How do I know if my device is compatible with the CarryOn? A (1): The CarryOn is USB charging so the device needs to have a USB charger. For example, iPads are compatible because it charges with a Lightning to USB power connector. Most tablets in general usually charge via a Micro-USB to USB power connector. A (2): Check the dimensions of the device, including the power connector and case, if you are planning to use one. There is a template available in the Downloads section below. No reviews found to display for this rating. "Buy from people, not the Internet"